For Reheating and press / plug quenching of Bevel gears, pinion, bearing races etc. 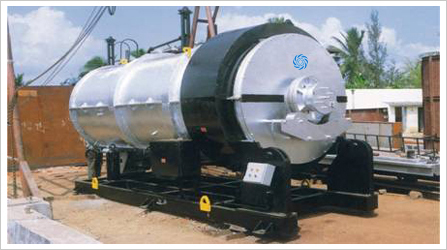 Temperature of operation up to 950 deg C continuous, mainly for reheating or with controlled atmosphere operation. Gas Fired / Electric heating options for Hardening section. Capacities 150 kg / hr to 1000 kgs / hr. High energy efficient if used for press quenching with tray less operation. With trays, life of trays doubled as charge alone is quenched and trays move on without getting quenched. Being used for low case depth Carburising / Carbonitriding etc.